Since the World Trade Center attacks in New York on September 11, 2001, Europe has been plagued by Islamist attacks that have taken many lives and disrupted many services. Considerable attention has been paid to radical Islamist attacks on the United Kingdom, France, and Germany, but far less focus has been on the Islamist extremist impact on the rest of Europe. 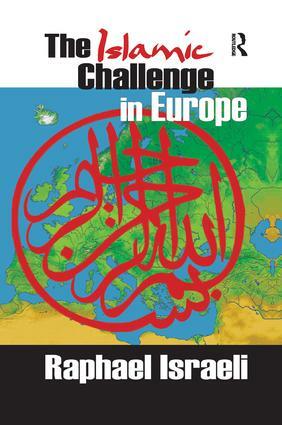 This book warns all Europeans, but Middle Easterners as well, that they are not immune to terror. That terror is confined to Jews and Israel is a myth. Muslim extremist attacks have taken place against other Muslim nations--as well as European nations in which Jewish influence or Israeli support is negligible. The waves of Muslim recrimination against the West have given rise to internal struggles within the Arab world played out in terrorist acts. Muslim brotherhoods have defined a global war against other religions, nations, and cultures that stray from the principles of fundamentalism--a cultural and military jihad. Just where religious identity supervenes national identity has become a critical turning point. Israeli's book shows that the line between moderates and extremists within the Islamic fold is vague, ambiguous, and in certain situations non-existent. It draws attention to polls and public sentiments of the Islamic faithful, and emphasizes the Islamic attack on modernization and its cultural sources. This timely volume is addressed to those in the West who are not accustomed to thinking in apocalyptic terms. Israeli provides painstaking details of European responses to Islamist challenges, particularly those who prefer pragmatic compliance rather than response. He demonstrates that Islamic extremism continues to grow in the heartland of the European world. This is neither an optimistic nor pessimistic book; its disturbing message may be a wake-up call to some. It is a necessary read for those who want to go beyond news, opting for a more intellectual and comprehensive diet.